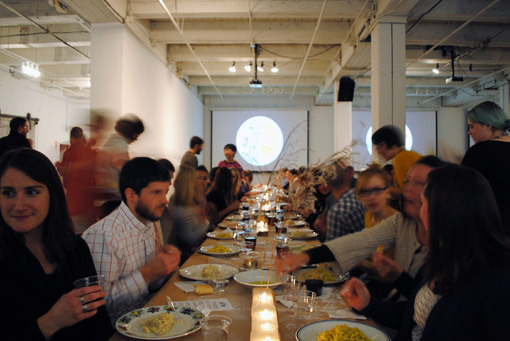 The Bemis Center’s most recent FEA$T (Funding Emerging Artists with Sustainable Tactics) was a massive success. 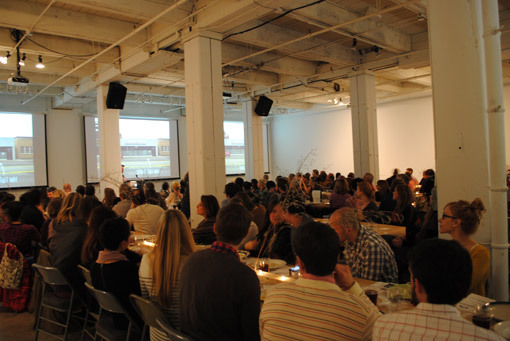 Over 200 people packed the Gallery 3 at the Bemis to donate their support and enthusiasm to the event. Chef Paul Kulik of the Boiler Room treated guests to multiple helpings of mushroom risotto and fresh pasta. 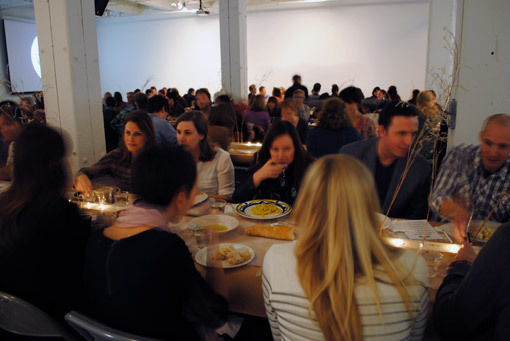 During dinner, six artists and art collaborators gave brief presentations about projects that need a little extra financial push to get off the ground. 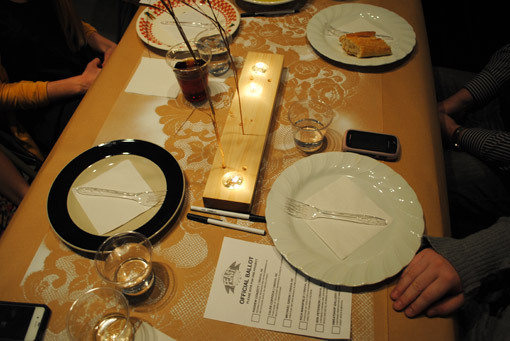 After the presentations, diners voted for their favorite. The voting was very close with second, third and fourth place being separated by only four votes and due to the amount of money raised it was decided that there would be a runner-up grant awarded as well as first place. Muralist Michael Giron took home $573.51 to help fund two new murals on Leavenworth street. 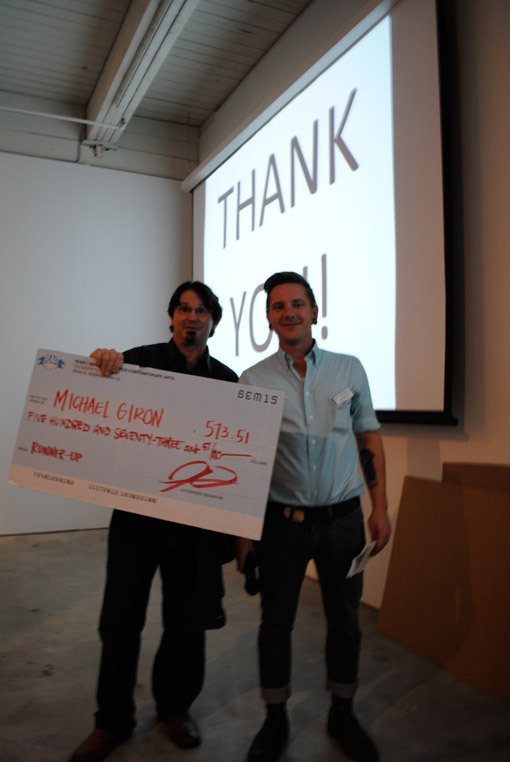 The winner of the popular vote for the evening and one big check for $1841 was Sweatshop Gallery. They intend to use the grant to continue renovations in their Benson gallery. Both grantees will present an update on their projects at the next FEA$T event in May.